Developing advanced technologies for optical testing and fabrication of large optical components and systems. 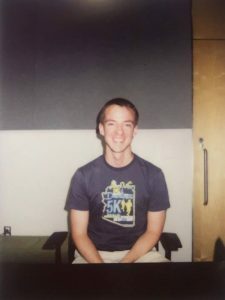 This week we sit down with Neil Momsom, a graduate student whose research focuses on biomedical imaging applications. Neil explains the working concept for a SPECT imaging system. There is discussion covering the system components, theory, noise, and statics. Neil sheds some light on a device we take for granted in medical procedures but which is extremely complex both in the hardware and data processing. As always, please leave your feedback and comment on todays episode. This entry was posted in and tagged biomedical, optics, SPECT. Bookmark the permalink. A new version SAGUARO is available.